Featuring Global Slag News, Evaluation of the technical and economical aspects of using type CEM III cements in concrete, Efficient and reliable handling of GBFS and GGBFS at grinding plants and cement works, Borate stabilisation of air-cooled slags and 1st National Iranian EAF Slag Conference 2008 Review. Featuring Global Slag News, Global Slag Conference 2007 Review, The production of high performance low carbon cement, Thailand report – Siam Cement faces prices resistance with the trial launch of slag cement and Quality control of products according to different standards. 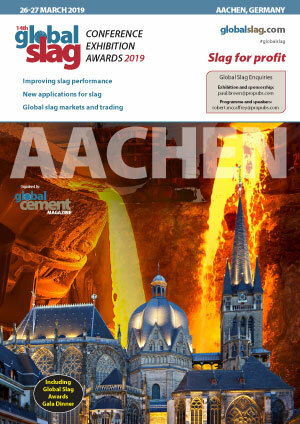 Featuring Global Slag News, Adding value to granulated slag in European cement markets - experiences in Belgium, Ireland and the Netherlands, Steelmaking measurements with LIBS, MPS vertical roller mills for slag and slag cements, The potential performance of steel industry aggregates for the removal of heavy metals from degraded water and Turkish slag cement industry seeks new markets. Featuring Global Slag News, EAF slag for road construction in Thailand, Third Global Slag Conference 2007, Treatment and characterisation of EAF slag for its effective utilisation in cementitious products, Various types of cooling methods of EAF steel slag to be used as cement replacement material and 5th European Slag Conference 2007 reviewed. Featuring Global Slag News, Efficient and reliable handling of GBFS and GGBFS at grinding plants and cement works, Utilisation of copper slag for cement Manufacture and Slag Atomising Technology (SAT): Strategic management of electric arc furnace slags. Featuring Global Slag News, Japan slag report – JFE Steel Corporation profile, Slag grinding with the Polysius Roller Mill in China, Application for GGBS in China, Global Slag Conference 2006 reviewed and Loesche America’s 9th Discussions of the Round Table Seminar in Miami. 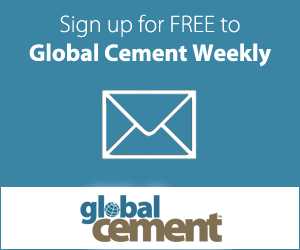 Featuring Global Slag News, Grinding and classifying technology for slag, Concrete performance using BFS cement, Slag in Japan, Slag and the EU Emissions Trading Scheme and Slag in Thailand. Featuring Global Slag News, Birmingham GranCem plant in Alabama, 2nd Global Slag Conference, Bangkok, Handling, processing and utilising steel slag, Transportation and storage of slag cement and Development of slag use in the cement industry. Featuring Global Slag News, Slag in India, Design of slag mineralogy and petrology, Slag grinding with MPS vertical roller mills and Slag grinding with Loesche vertical roller mills.